All-rounder. 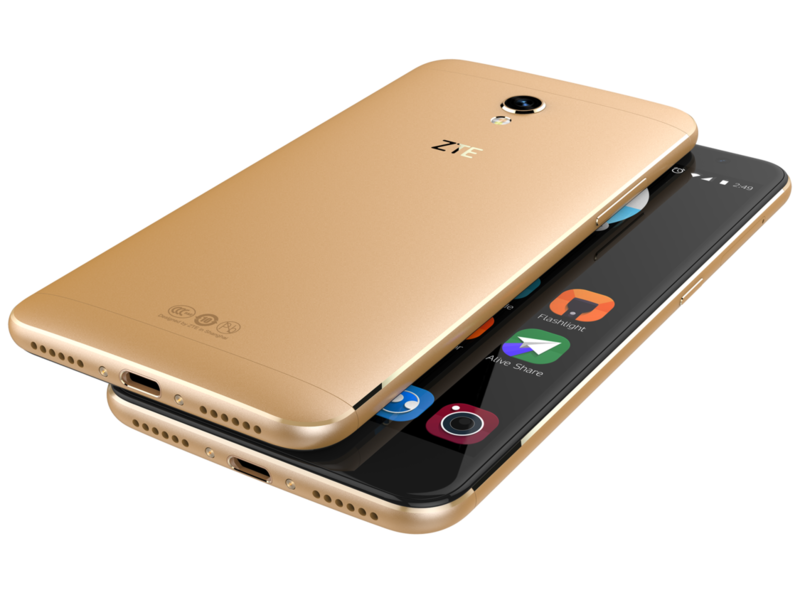 The Blade V7 is the newest mid-price product in ZTE's successful Blade lineup. The device offers a decent configuration at a fair price of 250 Euros (~$282, RRP). Read in our report whether the manufacturer has eliminated the former model's drawbacks and improved in the right places. Model: The ZTE Blade V7 is a Dual SIM smartphone with good performance for an affordable price. The Android OS v6.0 (Marshmallow) system features a capacitive 5.2 inch IPS LCD touchscreen with a resolution of 1080 x 1920 pixels and multi-touch support, a 1.3 GHz Cortex-A53 octa core processor with Mediatek MT6753 chipset, a Mali-T720MP3 GPU, 16 GB storage and 2 GB RAM. The storage of the smartphone can be expanded by using a microSD card with up to 256 GB. The smartphone's 13 MP rear camera features phase detection autofocus, dual-LED (dual tone) flash, geo-tagging, touch focus, face detection, HDR and panorama. In addition, it is capable of recording 1080p videos at 30 fps. The 5 MP front camera is decent for normal usage. The lithium ion battery rated at 2500 mAh is not removable. The connectivity includes WiFi, Bluetooth v4.0, GPS, FM Radio and a microUSB v2.0 port. In addition, the smartphone features an accelerometer, a gyroscope, a proximity sensor and a compass. 80.98%: This rating should be considered to be average. This is because the proportion of notebooks which have a higher rating is approximately equal to the proportion which have a lower rating.